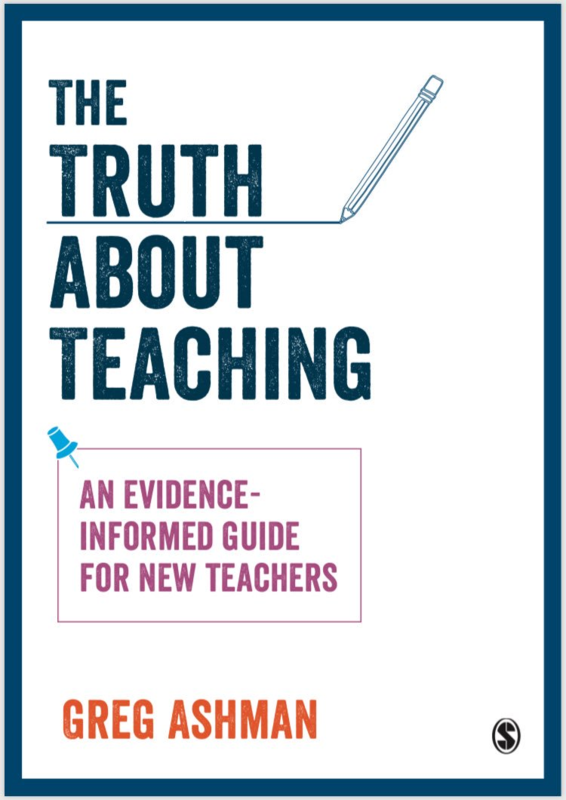 I have written before that, as a young teacher, I thought I should be using inquiry-learning-style teaching strategies, that I could not make these work very well and so I guiltily resorted to explicit teaching. However, this explicit teaching was far from optimal. It was never a focus of my training and so I had to work out my own approach through a combination of trial-and-error and observing more experienced teachers. You could describe the style I developed as ‘I-do-you-do’. I would demonstrate a procedure and then ask students to do the same or I would explain a concept and then ask them to answer comprehension questions. If students could not complete the procedure or answer the comprehension questions then my strategy was to repeat the process. In learning about Cognitive Load Theory, I have come to realise the importance of a middle stage, particularly when dealing with concepts that are high in element interactivity, as I frequently do when teaching maths and physics. We might characterise this as ‘I-do-we-do-you-do’ teaching, where there is a more structured and gradual release of responsibility to the students. This is roughly mirrored in the ‘Guide student practice’ phase of Rosenshine’s Principles of Instruction. This is no coincidence. Rosenshine’s principles are derived from studies investigating the practices of the most effective teachers and I see Cognitive Load Theory as providing a theoretical explanation for why many of these behaviours are effective. But how do we gradually release control? What specific strategies can we use? John Sweller, Jeroen van Merriënboer and Fred Paas have authored a new paper looking back on developments over the last 20 years of Cognitive Load Theory. The paper is open-access and worth reading for a number of reasons, even if it is quite technical in the way that it is written. However, it also goes some way to helping address what this guided practice or we-do stage might look like. A key strategy is pretty simple. Rather than provide a full worked example or ask students to solve a problem completely on their own, provide a partially worked example. This may seem like a trivial and perhaps over-literal way of fading guidance, but it has extraordinary versatility and power. An obvious application would be to provide a maths problems with a few steps left undone. However, a strategy that I have seen English teachers develop relies on the same principle. Instead of modelling a body paragraph, teachers can provide a body paragraph without a topic sentence and ask students to write that topic sentence. Alternatively, they could omit some other sub-component of the paragraph. Given that writing is a highly complex activity for novices, such a strategy may also be an example of the ‘isolated element effect’ where students are instructed in different components of a more complex task prior to integrating these components. It is interesting to contrast this with an alternative approach that manages the we-do stage in a different way. Instead of breaking complex tasks down into discrete components, four component instructional design (4C/ID) focuses on whole tasks from the start of learning (see van Merriënboer and Kirschner). However, the tasks are structured so that more simple ones are tackled first and guidance is gradually reduced during each task focus, moving from very highly guided examples to ones that students complete largely by themselves. It is a complex approach that I have oversimplified here and I would need to learn more about if I were to use it as a guide to answering the we-do question. Another intermediate effect that teachers may be able to use is the ‘imagination effect’. It seems particularly well-suited to the intermediate stage of learning and reminds me of retrieval practice. Instead of studying a worked-example, a student may imagine themselves running through the different steps. Clearly, a novice cannot do this, but it would also probably be a pointless task for a relative expert. My experience in schools suggests that the we-do stage is the one that perhaps needs the most attention in any attempt to develop a more effective explicit teaching approach. Cognitive Load Theory may offer some useful pointers. The EAL community in Australia in general have been doing this for more than 10 years. Gibbons, Hammond and others.